100 German and Dutch printmakers will show and sell works on paper. 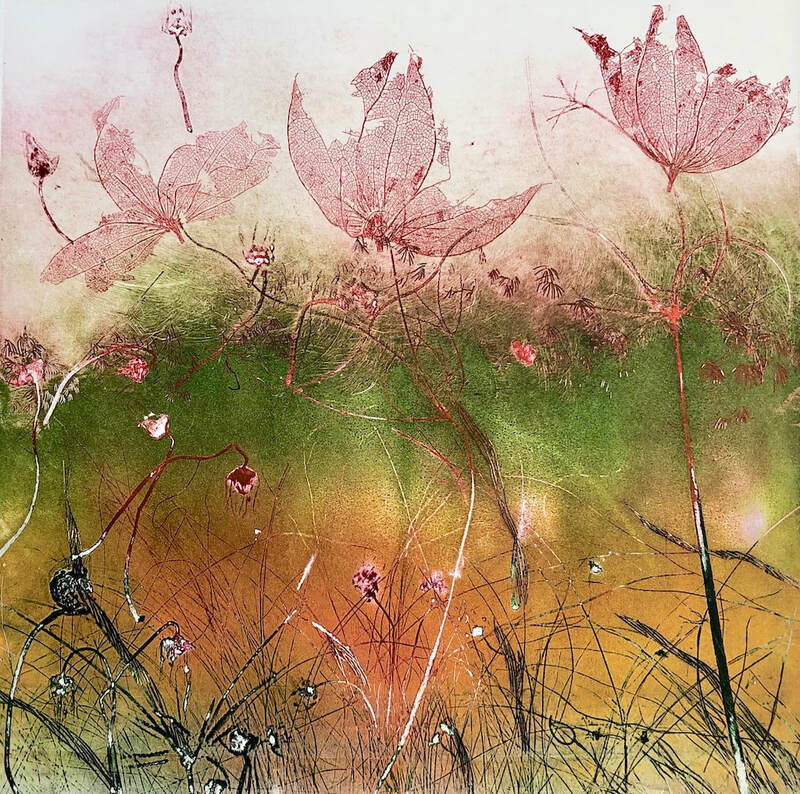 I will show nature prints, etchings and relief prints. Artists from Gouda, Cardiff and Singapore will show a series of prints and mixed media works inspired by the theme of the exhibition: 'Beyond the Border'. 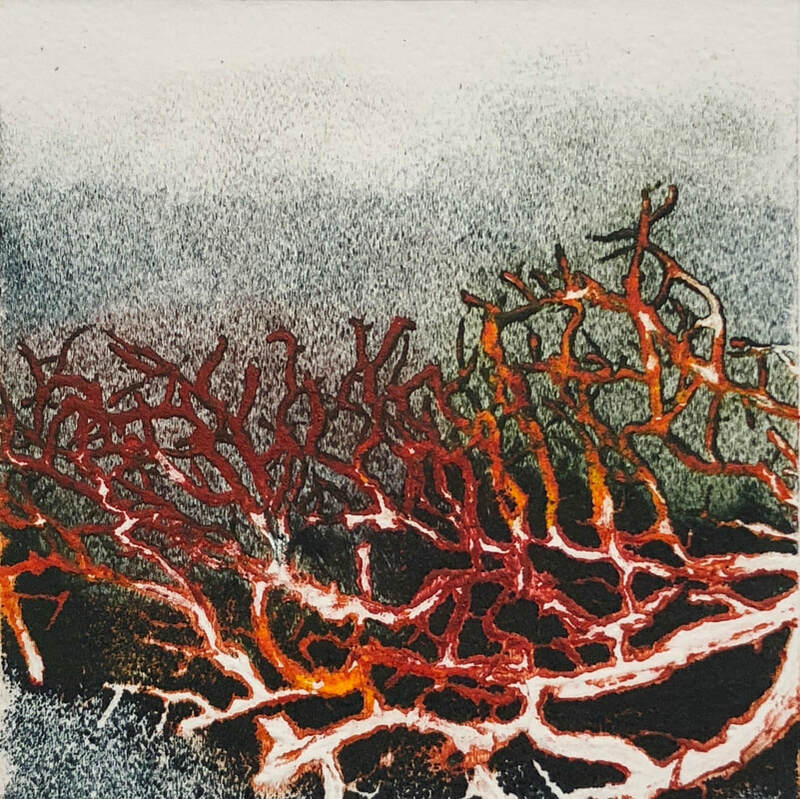 The works created using intaglio and relief techniques explore physical and natural borders and psychological and personal constructs and boundaries. On Sunday 2 September from 14.00 - 16.00 the artists will be at the gallery to explain their theme's, materials and printmaking techniques . I will there to collage and paint a panel on 18 July 2018. The project starts 15 May - 15 September. The installation will stay in the field till 1 October 2018. Open every day from 9.30 to dusk.raph. This year’s miniprint exhibition has over 260 works, over 100 artists and 20 countries. OSA’s Main Campus Gallery, 35 George St.
Artists were asked to submit their small-format prints (maximum of 10 cm by 10 cm) for exhibition in the OSA’s main gallery, with artists working in any print medium, with only original artwork being exhibited. Prints will be on display and for sale until June 17, 2018 at the OSA’s Main Gallery located at 35 George St. Admission to the OSA’s gallery spaces is always free and everyone is welcome. For more information about the Ottawa School of Art, please visit artottawa.ca.graph. 100 German and Dutch printmakers will show and sell works on paper. I will participate and show recent and older prints, mixed media prints, woodcuts and intaglio works. 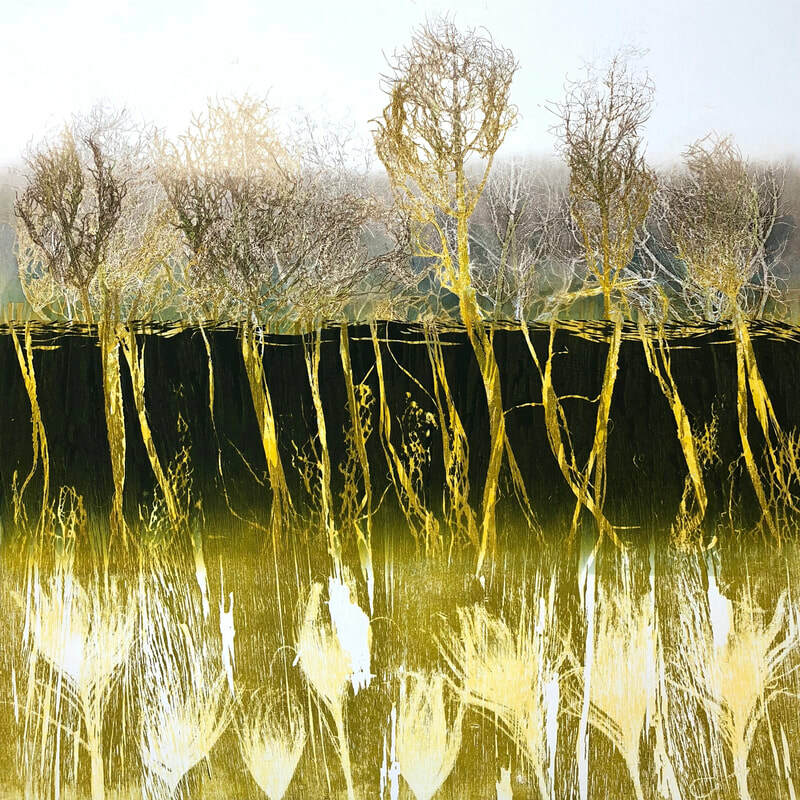 Paintings, prints and 3 D works dealing with the theme water in all its properties and meanings. All works are printed in all shades of blue. 2 new woodprints will be part of the presentation.